Great Neck is a village in Nassau County located on the North Shore of Long Island, New York. As of 2010 census, there were 9,989 people, 3,473 households, and 2,620 families residing in the area. 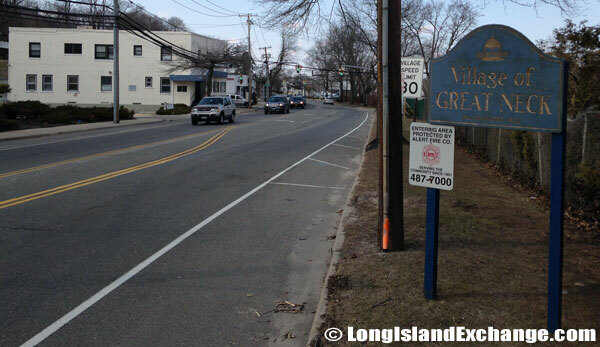 The Village of Great Neck is in the Town of North Hempstead. The term Great Neck is also commonly applied to the entire peninsula on the north shore, comprising a residential community of some 40,000 people made up of nine villages as well as unincorporated areas of North Hempstead, of which it is the northwestern quadrant. The median income for a household in the village was $77,976, and the median income for a family was $101,646. The latitude of Great Neck is 40.800N. The longitude is -73.728W. It is in the Eastern Standard time zone. Elevation is 108 feet. A sign welcomes visitors and residents to Great Neck, a village in Nassau County, on the North Shore of Long Island. 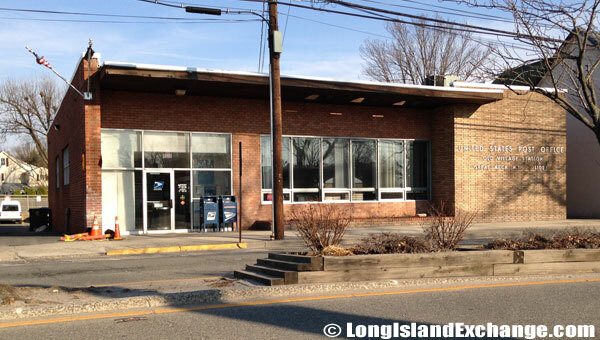 The Old Village Post Office in Great Neck, New York. The Board of Commissioners meets here to formulate policy and budgets. 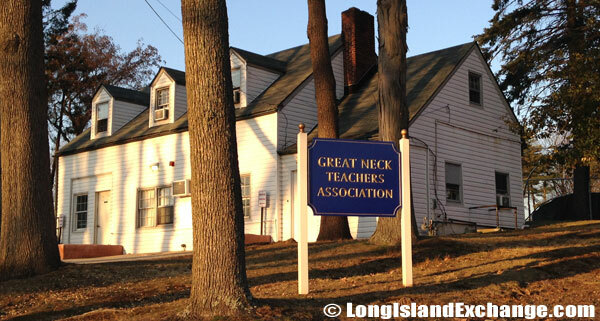 The Great Neck Teachers Association. Great Neck was named when Madnan’s Neck was divided into two parts: Great Neck and Little Neck. The area had previously been inhabited by the Mattinecock Native Americans who were pushed back by the colonists’ expansion. The broader area called Great Neck encompasses the village of the same name and eight other villages. In recent days, the area particularly the incorporated village of Kings Point provided a backdrop to F. Scott Fitzgerald’s book “The Great Gatsby”. The book themes and characters reflected the real-world transformation that Great Neck was experiencing at the time, as show-business personalities like Sid Caesar and the Marx Brothers bought homes in the hamlet and eventually established it as a sanctuary for Jews formerly of Brooklyn and the Bronx. The Great Neck Music Conservatory is one of the oldest and most renowned music schools on School Long Island. The Great Neck Village School is a long-established public alternative school. It is a member of Coalition of Essential Schools and provides a college preparatory program. 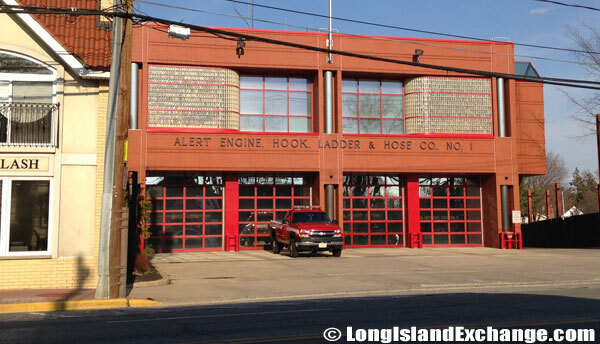 Alert Engine Hook & Ladder & Hose CO #1. 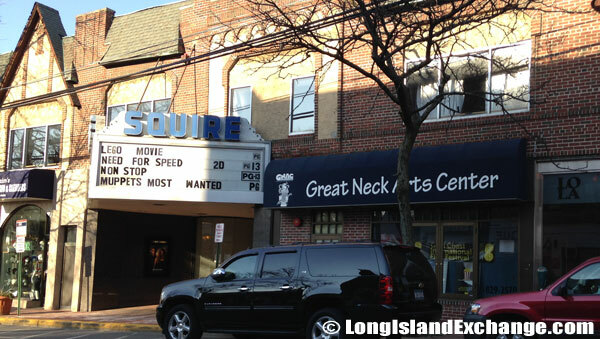 Great Neck, Squire Cinema, part of Bow Tie Cinemas. The residents of Great Neck are very well-educated, recognize importance in their education and have high expectations for their school system. The Great Neck School District is the school district of the area. About 6,000 students, grades K-12, attend the Great Neck Public Schools. It composes of three high schools, two middle schools, and four elementary schools. 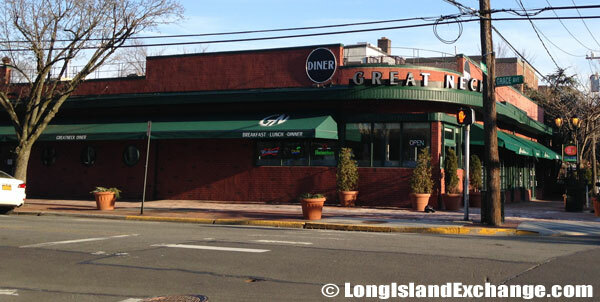 Great Neck Diner, 14 Grace Avenue Great Neck. Peter Luger Steak House, 255 Northern Boulevard, Greak Neck, New York. Peter Luger has another location in the Williamsburg section of Brooklyn which been named the best steakhouse in New York City by Zagat Survey for 30 years in a row. Burton & Doyle Steakhouse located at 661 Northern Boulevard. Morton’s Steakhouse in Great Neck offers prime steaks, fresh seafood, fine wine and an upscale decor. 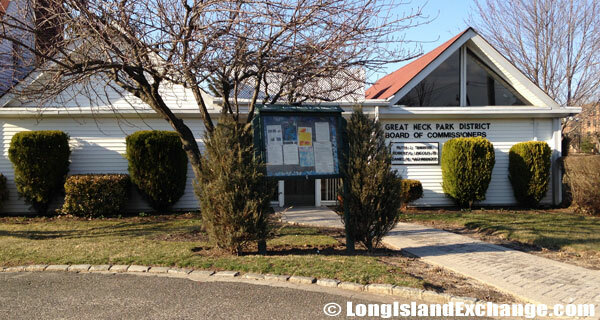 Great Neck is known for its wonderful community environment that the area offers resident’s great amenities like a senior citizens center, many temples and churches, adult education classes and art classes, and many more. Great Neck also has many beautiful waterfront views and easy waterfront access. Recreational activities like sailing and tennis are abundant in the area.